Dunlop’s Geomax MX51 replaces the venerable D756 soft-intermediate terrain tire and it exceeds every aspect of the old tires performance. Tires. One of single most important components of your dirt bike, with the right set, you’ll rocket away from the starting gate, blast into the first corner for the holeshot, and peel off to the checkered flag. Without them you could be that rider slipping and sliding his way into last place, and what fun is that? For this reason we’ve always counted on Dunlop’s proven D756 tire for our intermediate-to-soft terrain fun. But things change. Today’s engines are becoming more powerful plus they’re stuffed within chassis that are equally adept at harnessing that power to the ground. Thus, the time has come for a new generation tire with enhanced performance to match that of today’s machines. Say hello to Dunlop’s new Geomax line of off-road tires. Replacing a wildly popular tire like the D756 is no simple task, so you better come equipped with something special that’s going to exceed each and every element of tire performance, and that’s exactly what Dunlop’s done with its Geomax MX51 tire. Take a look at the tire up close and you’ll notice the substantially larger sized tread blocks. The blocks are laid out in a specific array dubbed “Geomax Reinforced Pattern,” in which the center of the tire uses an open, less dense block pattern. As you move to either side of the tire the density of the block pattern increases. The result is an increase in traction during acceleration and braking. Furthermore, each block base is linked to another which helps prevent the blocks from coming apart. Recessed sipes are built into each tread block on the front tire and on the sides of the rear. This allows the tire to bite extra earth while cornering. Additional shallow sipe recesses are utilized in between the center tread blocks, which are said to aid in bump absorption. The Geomax utilizes a redesigned construction that, according to Dunlop, is more rigid than the models it replaces. This allows the tire to operate with lower air pressure without compromising its footprint or stability. Additionally, the tire’s sidewall rigidity has been revised. This is said to provide more consistent grip when cornering aggressively. To find out if these changes worked, Dunlop hosted an open trackday at Perris Raceway in Perris, California. Recent wet weather ensured that the soil was soft and tacky. Add 30-40 crazed riders and it wasn’t long before footpeg-deep ruts started to form. Traction, traction, and more traction. 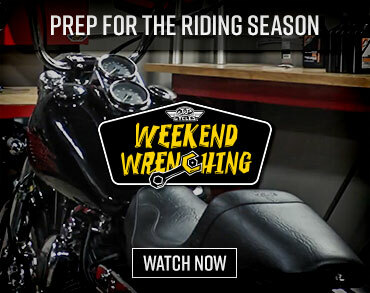 The combination of Perris Raceway’s perfect conditions and Dunlop’s perfect tire equaled moto fun all-day. Indeed ideal dirt conditions made it difficult to find any faults in terms of traction, but as the day progressed more and more braking and acceleration bumps began to form which allowed us to find out how the Geomax’s updated carcass construction responds to hits. After an entire afternoon of pounding out motos at Perris, we couldn’t find any faults with the new Dunlop Geomax MX51 tire. All the qualities we loved about the Dunlop’s 756 are still there and then some. Perhaps the most impressive feature is that even though the new tires incorporate all of this new technology, Dunlop still managed to trim down the tires MSRP. The rear now costs between $39.18 and $115.89 depending on size, with the fronts ranging from $28.50-$96.23. Now that’s what we call real progress. 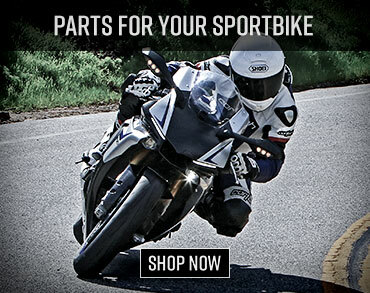 The Dunlop Geomax MX51 tires are available at Motorcycle Superstore. 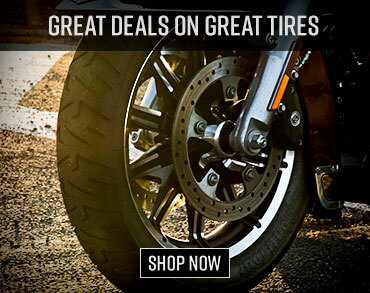 Check out more Dunlop Tires and Motorcycle Tires at Motorcycle Superstore.